SlapDash Podcasts is a free Windows 8 podcast player app with the help of which you can watch number of episodic series of music, videos PDF etc at a time. You can also listen to your favorite radio stations at the same time. Browse through a variety of related videos and episodes or tales over the podcasts. Just like you use your podcast on your iPod, you can simply use it on your Windows 8 desktop. Just click on the video or music you want to watch or listen, and you can get the live feed on your system. It will just ask for Internet permission and you will be grooving with your Windows 8 podcast. 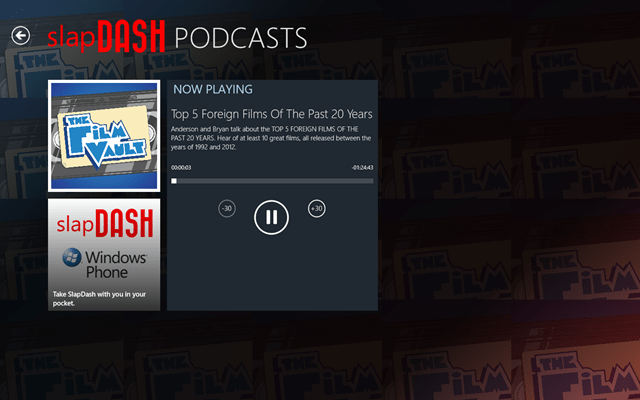 You can see the beautiful interface and can watch all kind of interesting stuff with the help of SlapDash podcast. I was watching this ‘We Are Alive – A Zombie Story of Survival’, and I got goosebumps. The HD quality video is really remarkable and the sound quality is also pretty good. 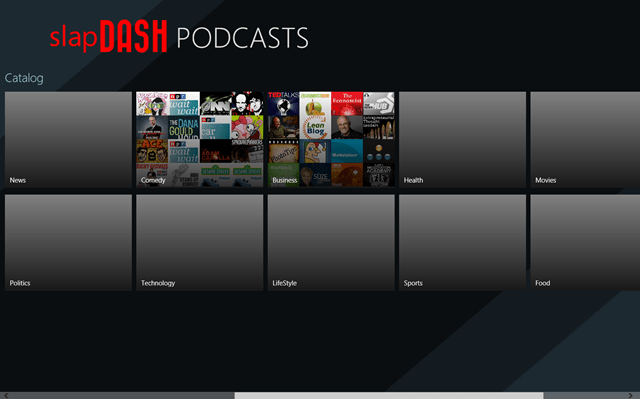 At this Windows 8 app, you can also listen to your favorite Radio Station on the podcast without any interruption. Also, you can add your own podcast if you know any. In addition, over this app for Windows 8, you can also use the given catalog and can select your theme from there like International, Politics, Comedy, business, News, Technology, Lifestyle etc. Just click on of these and you can connect yourself to the world. You can listen to great music if you want to and can also listen it while you were not connected through your desktop. You can download the SlapDash Podcast for your cell phone with the help of SlapDash Windows Phone, which will let you go through the podcast on your Windows phone. This Windows 8 podcast player app is quite a hit if you are really into podcasts. 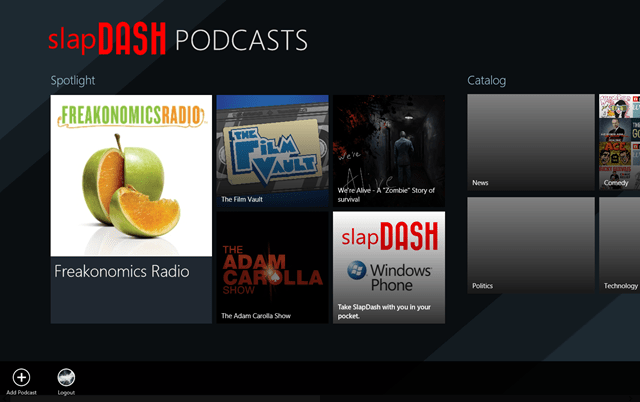 Go ahead and download SlapDash Podcast player app available under the ‘Music & Video’ category of Windows 8 store. Else learn how to search an app in Windows 8 store. Tags: Windows 8 Podcast Player, Windows 8 podcast.